On October 17, 2018, in the morning, President Gurbanguly Berdimuhamedov arrived in the village of Kiyanly to attend the opening ceremony of the polymer plant, the region’s largest gas-chemical complex for the production of polyethylene and polypropylene. 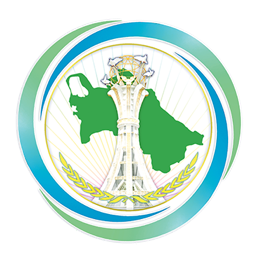 Among the participants and guests of this celebration are members of the government, deputies of the Mejlis, heads of ministries and sectoral departments, public organizations, heads of diplomatic missions accredited in Turkmenistan, missions, foreign companies, representatives of domestic and foreign media. At the main entrance to the territory of the new building, the head of state, to the applause of those present, cut the symbolic ribbon, opening a polymer factory, and then entered the building where he delivered a speech. At the opening ceremony of the gas-chemical complex for the production of polyethylene and polypropylene in Kiyanly, President Gurbanguly Berdimuhamedov pressed a button and launched production; after that he familiarized himself with the technological processes. This large investment project worth more than 3.4 billion US dollars was implemented by the State Concern Turkmengas together with foreign partners - LG International Corp, Hyundai Engineering (Republic of Korea) and TOYO Engineering Corporation (Japan). The trilateral contract was signed as part of the official visit of President Gurbanguly Berdimuhamedov to Japan in 2013. The production capacity of the new complex makes it possible to process 5 billion cubic meters of natural gas per year and thereby produce 386 thousand tons of high-density polyethylene, 81 thousand tons of polypropylene and other valuable products, and also receive up to 4.5 billion cubic meters of marketable gas, which is scheduled to be sent to gas pipeline systems for use as a fuel. The plant is equipped with modern equipment purchased in Japan, the Republic of Korea, the USA, the UK, Belgium, Germany, Denmark and other European countries. It consists of four main technological installations: gas separation, ethane processing, production of polyethylene and polypropylene. All technological processes are automated, subject to centralized management. The construction project of the gas chemical complex in Kiyanly was awarded a special award by the organization TXF (Great Britain), as one of the ten best projects in Europe and Eurasia in 2014, funded by export credit agencies.